It's been an interesting couple of weeks here in the Smith/Cockram tree. Not that I've managed to write anything I was intending to write - but I did accomplish something else. I knuckled down and started seriously looking for some of George's living descendants, in hopes that someone among them knows something I don't know about George. I started by looking for information about all of George's grandchildren, many of whom I knew very little about, such as, did they have any children? And did those children have children? And if so, where are they now? This kind of search, as you may know, is much harder than finding information about dead people. 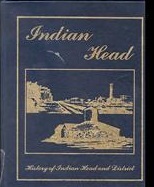 I hit a lot of brick walls along the way, but suddenly I remembered the existence of a book about the town and people of Indian Head, Saskatchewan, where George and his family lived for awhile. I'd never seen this book, and didn't know what it was called or when it was published - all I knew is that one of George's daughters, Bessie Jane Fleming, had written something in it. I wondered if she had written anything that might help me find living relatives. So I went searching for the book, and found the whole thing online, what luck! As it turned out, Bessie's little section didn't reveal anything new (except that when she was a girl, the family of eight lived for a couple of years in a rented two room house!). But looking through the rest of the book, I found some information about Bessie's children, grandchildren, and the first names of two of her great-grandchildren. The book was published in 1984, so the whereabouts of any of these people today was the great unknown, but at least I had some names to look for. The next thing I found, while Googling the name of Bessie's son, was his wife's obituary. Obituaries are often goldmines of information, and this one didn't disappoint. It told me where Bessie's grandson and two great-grandsons were living in 2010. So I started looking in the relevant phone books. But that didn't work - too many people these days don't have landlines, or just put their first initial in the phone book. So I tried Googling the names with the locations, and pretty soon I found one of the great-grandsons, with an email address! So I got in touch, and he passed my message on to his father, my second cousin, who just happens to be interested in family history, and he passed it on to another second cousin, who is also interested. So now I'm corresponding with Jack and Merle, two second cousins I didn't know I had, and have already been sent several pictures of George and Louisa and others in the family, that I had never seen before. It's been very exciting to find these cousins and share information - neither of them knew that George had changed his name, but both of them are thinking about it with me now! It's great to have company on this quest. If you've been following this blog, you might be wondering, 'What about your cousin Donna?' Sadly, Donna passed away a couple of months ago, and I miss her. I wish I had found Jack and Merle when Donna was still alive - she would have been thrilled to meet them.